An energizing facial cleanser specifically made for men infused with rejuvenating Dragon’s Blood and energizing Blue Stone that aids skin recovery, power-cleans dirt and debris to leave your face refreshed, revitalized, and oh-so-irresistible. Keep it clean but stay dangerous. The perfect boyfriend gift. ACTIVE INGREDIENTS: Dragon’s Blood, Blue Stone HOW TO USE: Apply to face and neck, and massage into skin with water. Rinse off thoroughly. 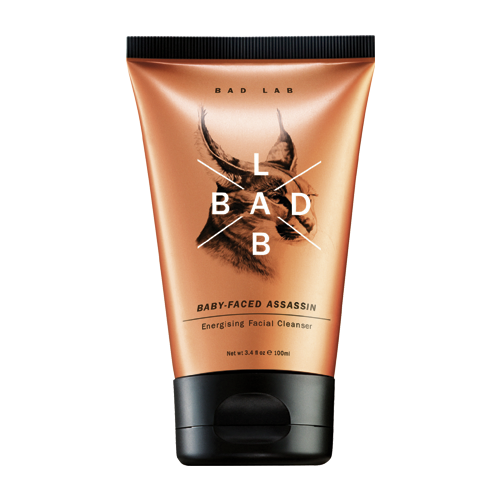 For best results, use Bad Lab Dirty Deeds Facial Scrub and Bad Lab Battle Repair Facial Moisturiser. FULL SIZE: 50ml/ 100ml PRICE: PHP 149.75/ PHP 259.75 AVAILABLE AT: SOCIAL MEDIA: Grab yours now at Sample Room!